In case you missed the news, BMW is proving that it cares more about its fans than its bottom line by deciding to build what is sure to become the hottest selling M car ever, an M2 Gran Coupe. Gearheads who missed the supple handling characteristics and the bloat-free styling of the E46 3 Series have gravitated towards the 2 Series, a car that recalls some of the characteristics that made BMW’s the driver’s car of choice for millions. 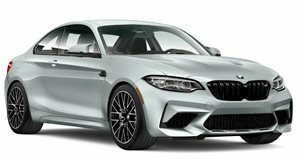 Given that the current M2 is nearly identical to the M4 in terms of performance characteristics, there really is no reason to buy the more expensive M car. When the M2 Gran Coupe hits the streets in 2019, sales of the M3 are sure to suffer in the same way, much to fan’s delight. Instead of making the smallest four-door M another model entirely, it will use the Gran Coupe name and styling that debuted on the 6 Series. That experiment went well because the 6 Series Gran Coupe remains one of the best looking BMWs to date. The styling trend migrated downwards to the 4 Series, helping that model line sell as strongly as the 3 Series and supporting a full 20% of BMW sales.